There is another small ray of good news today in the long-term battle to rid the nation of the predatory scalawags in the payday loan racket. 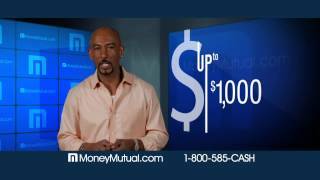 After years as serving as the well-compensated barker for the sharks at MoneyMutual, TV pitchman Montel Williams has announced that he will stop endorsing the company. The announcement came just a day after the New York Department of Financial Services announced a settlement with owners of MoneyMutual that prohibits the company from doing business in New York and requires it to pay a $2.1 million penalty. Give you any ideas, Attorney General Cooper? Today’s MoneyMutual agreement is the first successful enforcement action against a payday loan “lead generation” company penalizing it for its unlawful conduct. Lead generation firms do not typically make payday loans directly, but instead set up websites marketing those illegal loans. Through promises of easy access to quick cash, the lead generation companies entice consumers to provide them with sensitive personal information such as social security and bank account numbers, and then sell that information to payday lenders operating unlawfully in New York and other states. In December 2013, DFS issued subpoenas to 16 online “lead generation” firms, including Selling Source/MoneyMutual, which were suspected of deceptive or misleading marketing of illegal, online payday loans in New York. Let’s hope state officials keep Selling Source (aka “MoneyMutual”) on the run and that, at some point, Mr. Williams offers a public apology to the thousands upon thousands of vulnerable Americans he’s helped connect to these sharks. We won’t get our hopes up, though, that he returns the gazillions of dollars he’s no doubt been paid or, better yet, donates it to a worthy cause. Thank goodness something might get done! This industry preys on those who can least afford the convenience provided. Unfortunately, I cannot convince friends that this choice digs the hole deeper.